Metronomy and De La Soul are amongst the stellar names confirmed for this year's Somerset House Summer Series. The annual concert series takes place in one of London's most historic buildings, turning the Somerset House courtyard into an unusual, beautiful new venue. Taking place this summer, Somerset House Summer Series partners with American Express to piece together one of their most eclectic line ups yet. 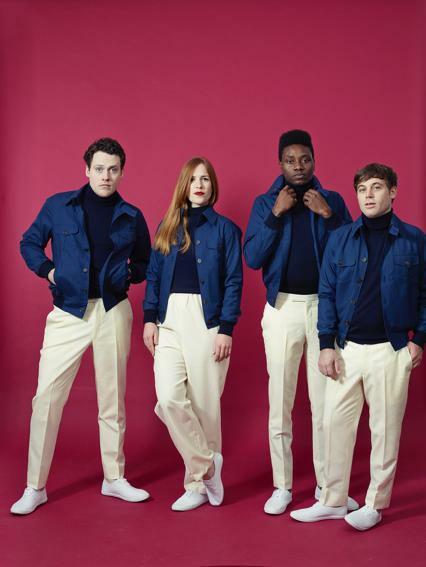 Opening on July 5th with Metronomy, the series also makes room for hip-hop icons such as The Roots and De La Soul, nights hosted by David Rodigan and Don Letts, and newcomers such as Sigrid. BRIT Critics Choice winner Jorja Smith will play on July 13th, while the series ends with a show from Róisín Murphy on July 15th. Alongside this Somerset House will host The Influence Project, a free exhibition in the East Wing Galleries between June 27th - August 22nd - never-seen-before photographic portraits of pioneers of funk, R&B, hip-hop, and afrobeat. Tickets for all shows go on sale this Friday (March 23rd) - ticket link.